Their effortless style will also make them the ideal jewelry to wear in your day-to-day life. Whether you need a little extra something to wear to work or want to add a just a touch of elegance to your night out, these earrings will be the perfect compliment to any outfit. Are you a bride that prefers a bit of understated elegance? If so, then these Small Pearl Earrings will be perfect for you. They are made up of a simple look with a single, perfectly shined pearl hung by a single diamond, giving them a classic and timeless look that you’ll be sure to love. Their beauty comes from their simplicity, giving you just the right amount of bling without being completely overwhelming. This will be perfect for brides that have chosen to go with a more vintage dress, as their dainty nature will complement the style rather than overpower to look. Timeless wedding jewellery and earrings. 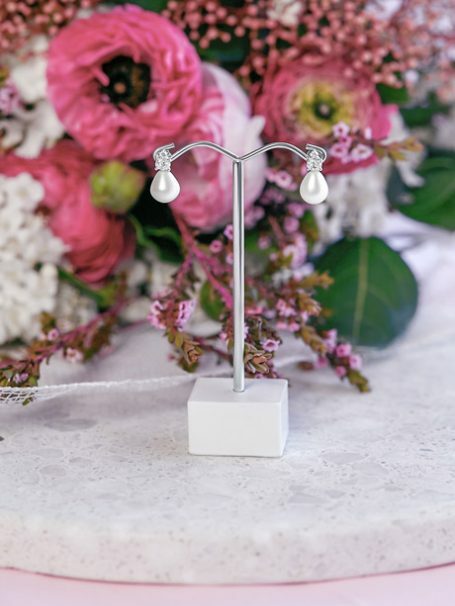 When it comes to creating a classic and timeless look, choosing earrings that will let your natural beauty shine without drawing too much attention away from the dress will be key. 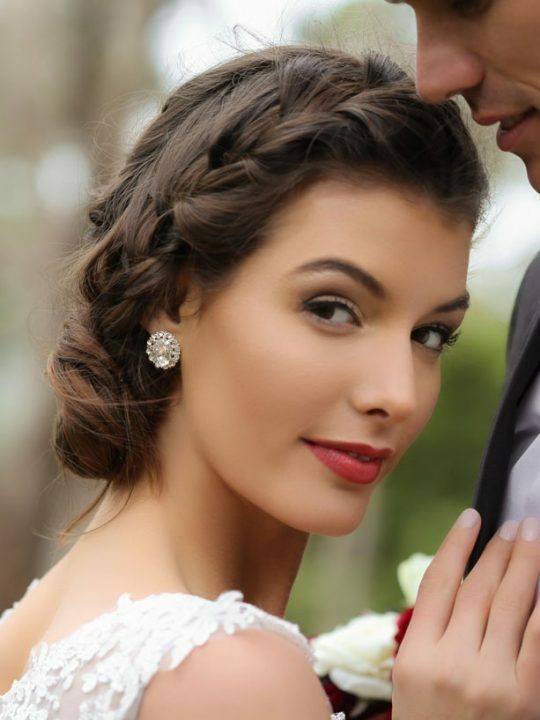 These earrings will be perfect for the bride who has her heart set on wearing her hair down. You won’t have to worry about getting tangled up but will still have just enough there to draw the attention you were hoping for. Matching pearl necklaces can be found at Hello Lovers Australia too. Choosing the perfect wedding jewellery can be tricky. The key is to find pieces that speak to who you are. When you choose these dainty pearl drop earrings, you can rest assured that you’ll not only love their effortless style, but you’ll be able to actually feel the care that went into designing them, making them even more special. Match with a vintage hair comb or a more modern comb like our Eden.